I love helping out with my kids’ classroom parties. The problem is, my kids usually forget to tell me until the last minute (or I forget to jot them down in my calendar) so I am scrambling at the last minute to whip up something that doesn’t look like I just threw it together (even though that’s exactly what I’m doing). My go-to recipe for these last-minute classroom treat “emergencies” is cake mix cookies. They only require 3 ingredients and are easy to tailor to any theme. 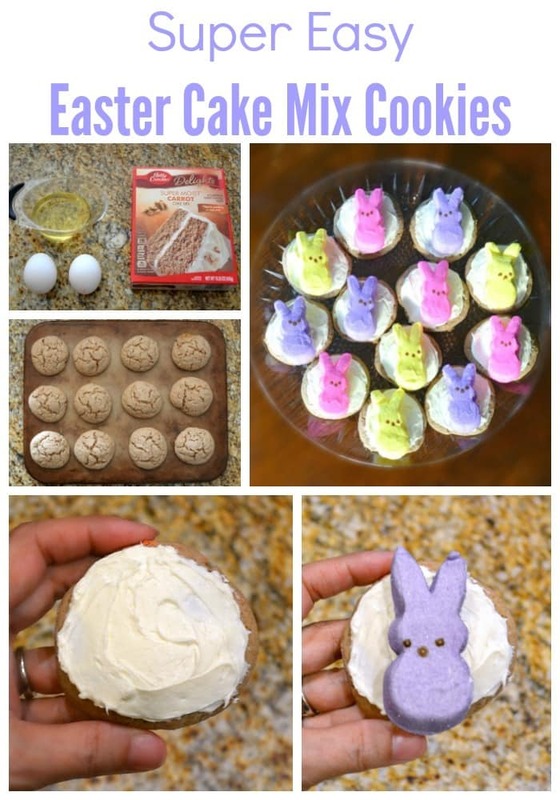 Today, I’m sharing my latest version – these super easy Easter cake mix cookies. Even though regular homemade cookies don’t take a ton of time, when you’re really short on time, these cake mix cookies will save you precious minutes! 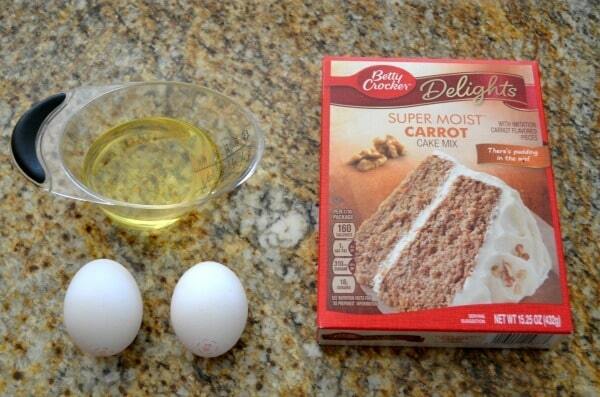 You only need 3 ingredients – cake mix, canola or vegetable oil, and eggs. 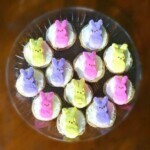 Since these were Easter cookies, I used carrot cake mix. 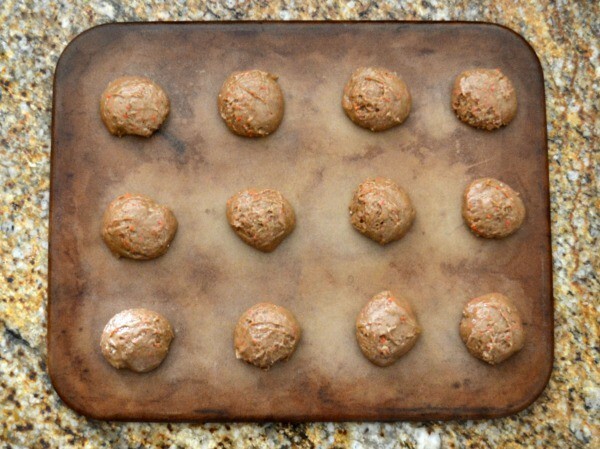 You mix all the ingredients together in a large bowl with a wooden spoon and then scoop the dough onto a cookie sheet. I use a cookie scoop because apparently I’m a kitchen diva (and I was slightly obsessed with Pampered Chef at one point in my life). In fact, I actually have two cookie dough scoops, a small and a medium. I used the medium scoop because I needed the cookies to be large enough to hold the decorations I had planned for them. You should get 24 cookies out of one box of cake mix if you scoop the right amount for each cookie. 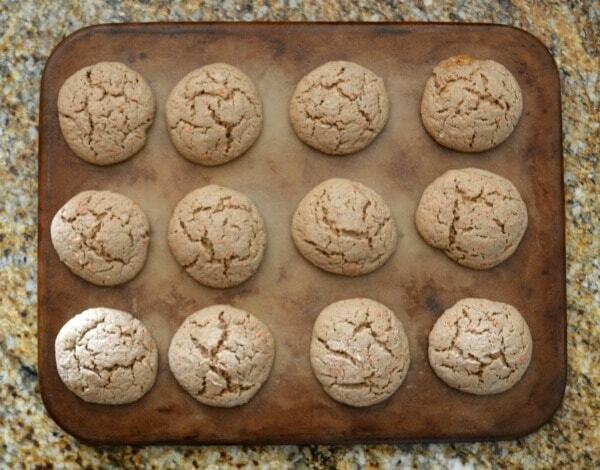 The cookies need to bake at 350°F for 10-12 minutes, then they come out looking like this. After they cool, you can frost them. I used whipped cream cheese frosting because 1) it’s easy to spread and 2) to me carrot cake just screams for cream cheese frosting. Finally, to add the “wow” factor (for an elementary-school audience) and to go ahead and pile on the sugar as long as we’re making dessert and not a snack or meal, top each cookie with a peep. 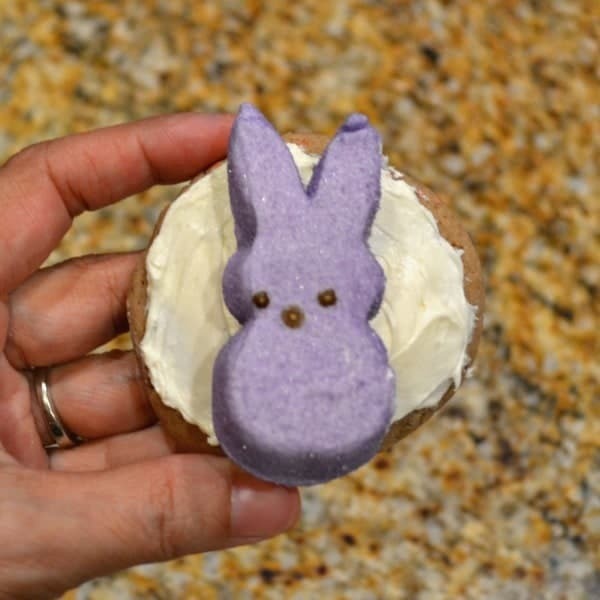 Load them up on a platter or in a storage container and voilá – you’ve made enough Easter-themed treats for an entire classroom full of kids in under half an hour! You could also top the cookies with jelly beans, if you prefer. You just might want to layer on the frosting a little thicker so that they stay in place. In a large bowl, combine cake mix, oil, and eggs. Mix well. Transfer to wire cooling rack to cool completely. 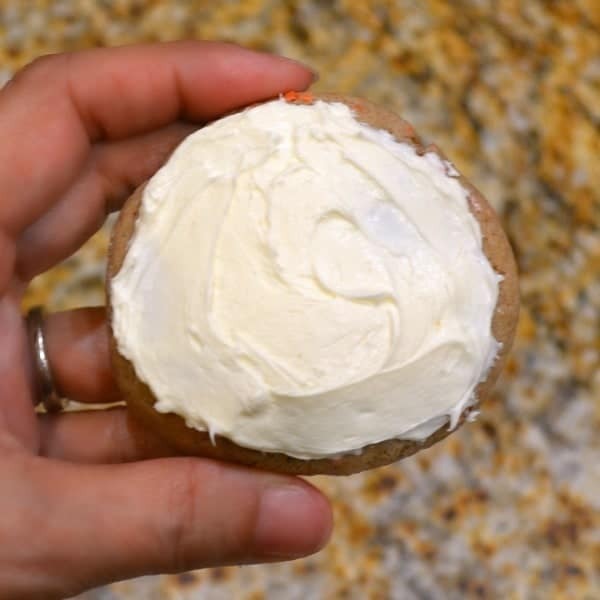 Once cooled, frost each cookie with whipped frosting. 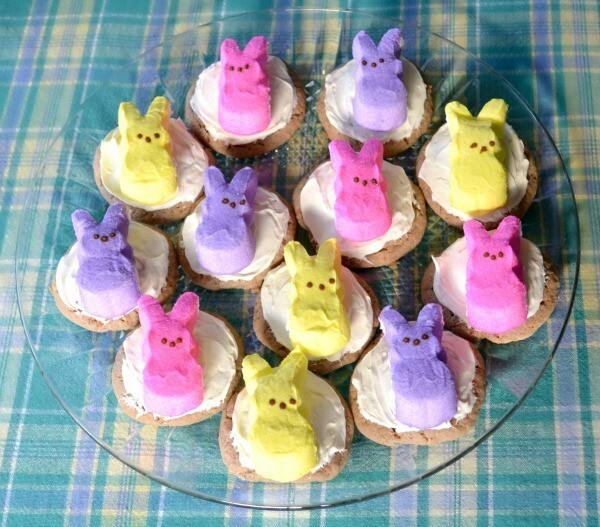 Then, top each cookie with one peep. So very cute and I’m always looking for quick but still impressive ideas. This is perfect for our family Easter get together.